Our Chesapeake and Virginia Beach headache relief center treats patients complaining of the “life interrupting pain,” most commonly known as the headache. Patients are losing time at work and/or not enjoying free time activities because of the magnitude of pain. Regardless of the type of headache, if you have one, you want it to end, fast! This has produced a huge market for medications that cover up the symptoms of headaches. These powerful drugs/medication numb your nervous system so it does not operate as needed. These drugs while convenient, they can cause adverse effects such as kidney or liver damage. 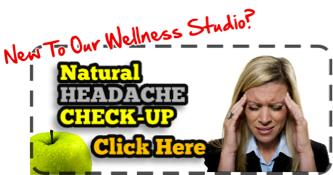 These drugs do not correct the underlying cause of headaches, they just mask it! Headaches may be common, but they are not normal! Headaches are a sign that something is wrong. Most headaches are cervicogenic in nature, meaning the cause is actually coming from the neck, not the brain itself even though the pain is in the head. The cervical spine is meant to support the head properly, however when the head and neck become misaligned sensitive nerve structures, especially the brain stem can become exposed to damage that triggers chronic headaches. Although stress, nutritional deficiencies and even emotional disturbances and affect and worsen and headaches, the underlying cause is usually structural in nature. According to a study on the effectiveness of chiropractic care on migraines, the average response of the group showed a statistically significant improvement in migraine frequency, duration and disability. It showed that people were able to reduce their medication use, with a significant number reducing their medication use to zero! A NUCCA Chiropractic doctor is a specialist trained to properly diagnose the relationship between the head and neck and correct and imbalance that exists that may actually being the root trigger of the headache. There are over 10,000 different combinations of how the head and neck can misalign, without the proper diagnosis and accurate treatment unfortunately headaches can persist for years. outcomes because we treated and fixed the actual cause of the headaches. If you live in the Chesapeake, Virginia Beach, VA area and are experiencing headaches please call us today. We can help you handle the root problems to eliminate or lessen your headaches! Our office treats residents of the Chesapeake area for symptoms such as headaches, back pain, neck pain, leg pain, sciatica, and more. We are happy to help you on your quest to a happy and healthy lifestyle!